Bug fixes are too a feature! I’m not feeling a lot of love for OS X El Capitan out there. That might not be surprising, given that it’s firmly in the tradition of Mountain Lion and Snow Leopard–new-feature-light, speed-and-stability-focused OS X updates. Some people love clicking around looking for things, whether it’s on their computer or on the Internet. For those people we have navigation bars on websites and the Finder on the Mac. But some people would really rather just type what they’re looking for into a box and hope that the result works for them. The better the results from those searches get, the more time you can save versus clicking around. 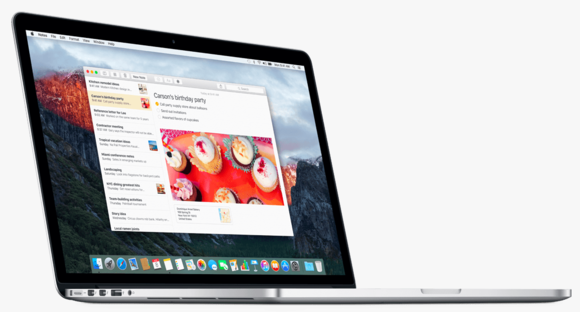 With El Capitan, Apple is making Spotlight even more of a search engine than it was previously. Yosemite brought a bunch of new Internet data sources to Spotlight, and El Capitan brings even more. If you’re wondering about something, be it on your Mac or out in the rest of the world, Spotlight can try to bring it to you. And in El Capitan, Spotlight will also react to natural-language queries. You’d be surprised to discover just how many people type complete sentences into search boxes on the Web. Sure, all of my searches are based on keywords (delete facebook account), but some of the most popular searches on the web are complete sentences (how do I delete my facebook account). Spotlight now speaks that language! Apple doesn’t need to launch its own search-engine competitor to Google, Bing, and DuckDuckGo. It can integrate all of those search engines while overlaying its own data sources–catching many of your queries before you have to resort to a web search engine. It’s happening on iOS and it’s happening in El Capitan. Notes doesn’t have features, but that’s okay. It runs on all my devices and syncs between them. I use Notes on iOS all the time when I just need to toss text somewhere and access it later somewhere else. 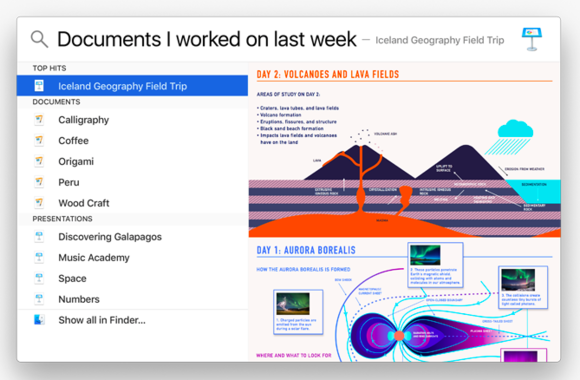 In iOS 9 and El Capitan, Notes is getting an upgrade. It has finally abandoned IMAP syncing (seriously, why did Notes spend years syncing via your email account?) and properly uses iCloud now. And there are numerous new features, including support for clippings and checklists. According to Apple, half of iPhone users use Notes regularly. I’m one of those people, and I refer to those notes on my Mac frequently. I’d never call Notes an essential app, but it’s ubiquitous, and improving it seems only right. Safari’s my default web browser and I use it endlessly, so I’m happy to see Apple continuing to find new ways to improve it. It would be really easy for Apple to rest on Safari development and consider web browsing a solved problem, but that hasn’t happened. 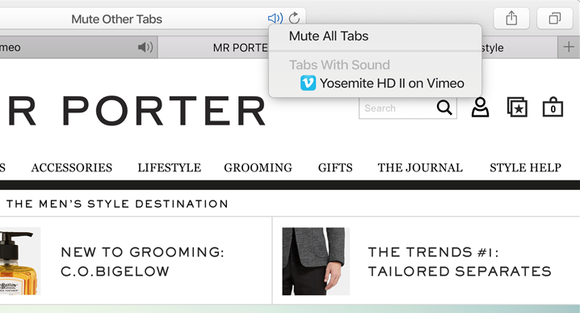 In El Capitan, Safari adds support for muting of audio in stray tabs–huge for dealing with sites that really like to play video automatically, including this one. As someone who doesn’t rely on RSS feeds but does have a collection of sites I like to visit regularly, I’m enthusiastic about the new Pinned Sites feature, which is sort of like a fancy version of the Favorites Bar, keeping your very favorite sites one click away. It’s the kind of feature that novices and power users alike can appreciate. I’ve still got a love/hate relationship with the Mail app. I use it for a while, then quit it for an alternative, but eventually seem to end up back in its clutches. 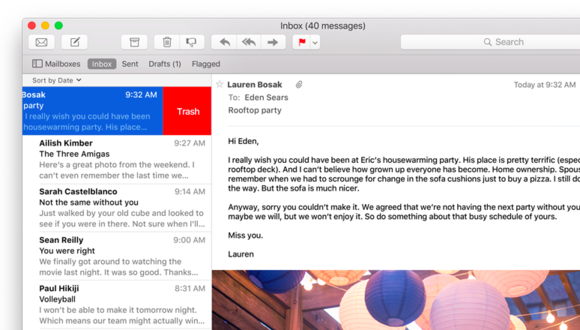 But the fact is, most Mac users who use a Mail app use Mail–it’s right there. And as with Safari, Apple keeps pushing the ball forward. I used the Mailbox app for a while and really enjoyed its interface, which (as on iOS) lets you swipe on messages to file or delete them. It’s a metaphor that really works if you’re using a trackpad, and Apple’s integrating it into Mail with El Capitan. It’s not the most discoverable feature in the world, but if you do learn how to use it, it’s quite a time saver. There’s also support for third-party photo editing extensions, which should please Aperture users who have made the move to Photos and found it limiting. 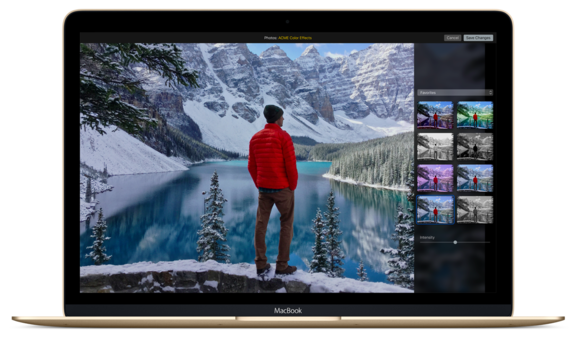 It’s unclear what third parties will actually write editing plug-ins for Photos, but the capability will be there in El Capitan. Let’s not forget that bug fixes and speed boosts are features! And they’re worth getting excited about. I’ve heard from many Mac users who have been frustrated by bugs they’ve in countered in Mavericks and Yosemite. 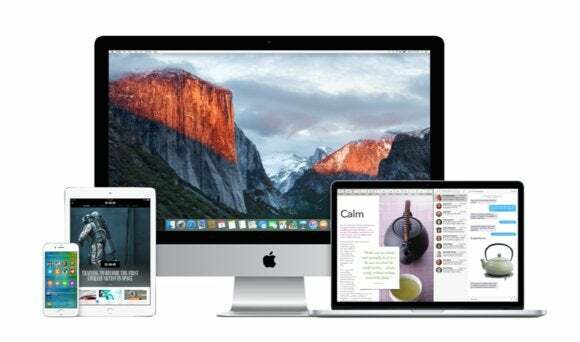 Apple’s upgrade cycle, providing a new version of OS X and iOS (and now maybe watchOS, too?) every single year, seems relentless. It’s probably wise for the company to ease back to more of a tick-tock approach, with a major release followed by a year of retrenchment and focus on refining the new stuff that’s been added in recent years. It’s unclear whether that new tick-tock approach is happening or not, but at least for this year Apple’s OS releases seem to be tocking. That’s good. Adding support for Metal on OS X may not seem like a great user feature, but it’ll speed up apps, creative-professional suites, and games alike. Fixing bugs isn’t necessarily something to be shouted to the stratosphere, but if you’re someone who’s been bitten by those bugs, it can be a huge relief.